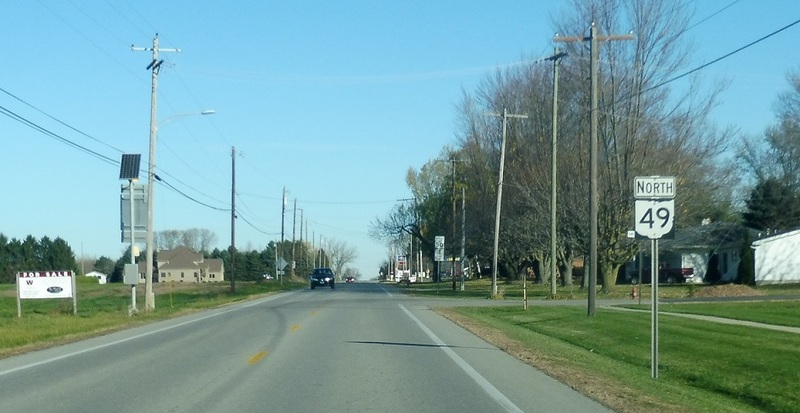 Reassurance shield after the 6 junction. 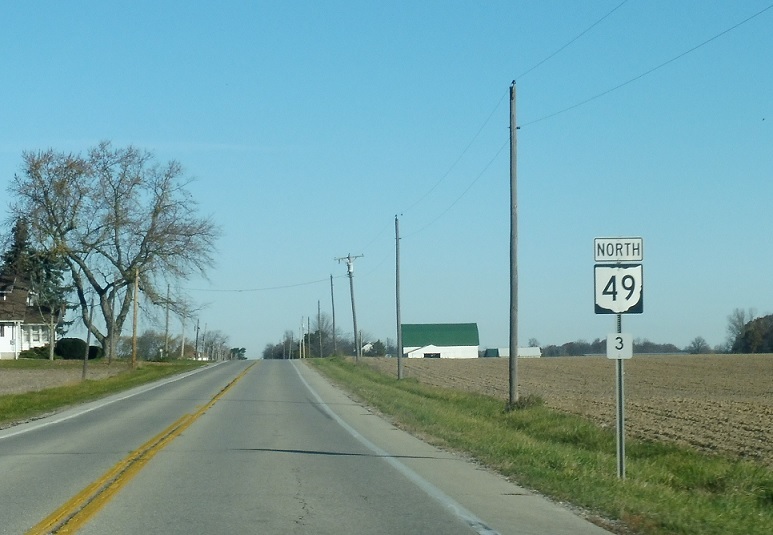 SR 49 heads north from here up to the Ohio Turnpike. 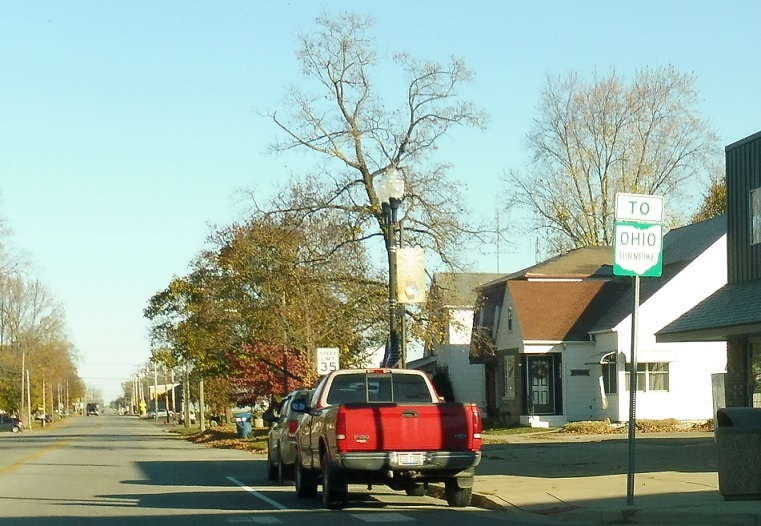 Reassurance shield as we head out of Edgerton. 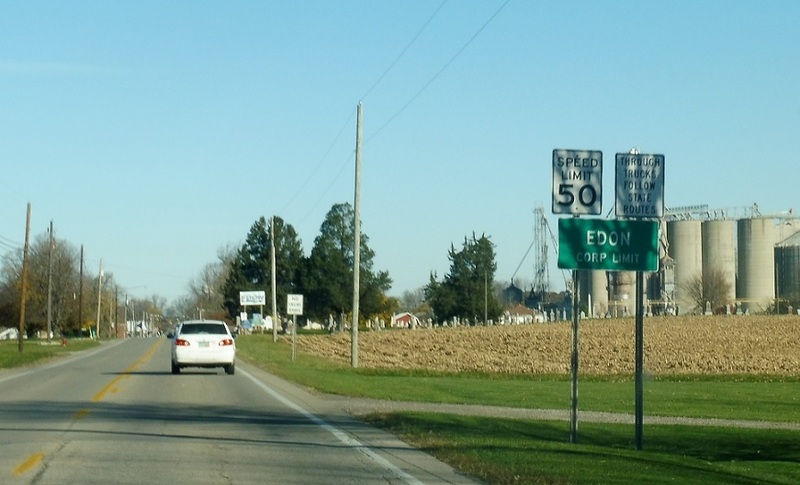 Reassurance shield three miles out of Edgerton. 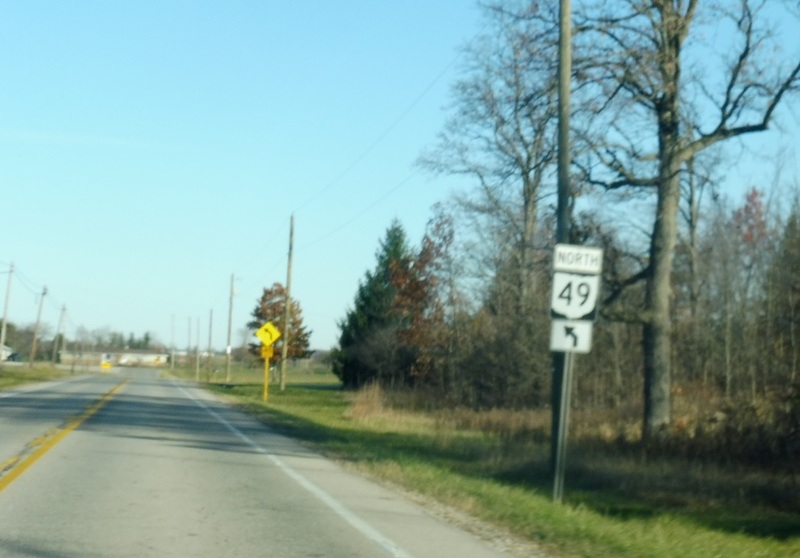 Shortly thereafter, SR 49 will jog a bit to the west. 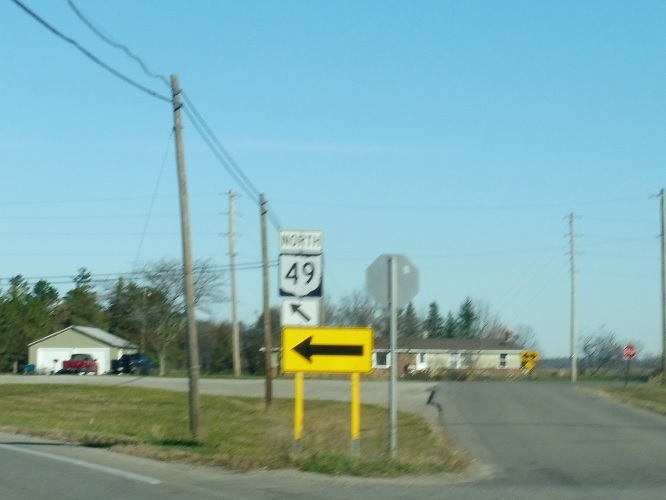 Keep left for 49 north. 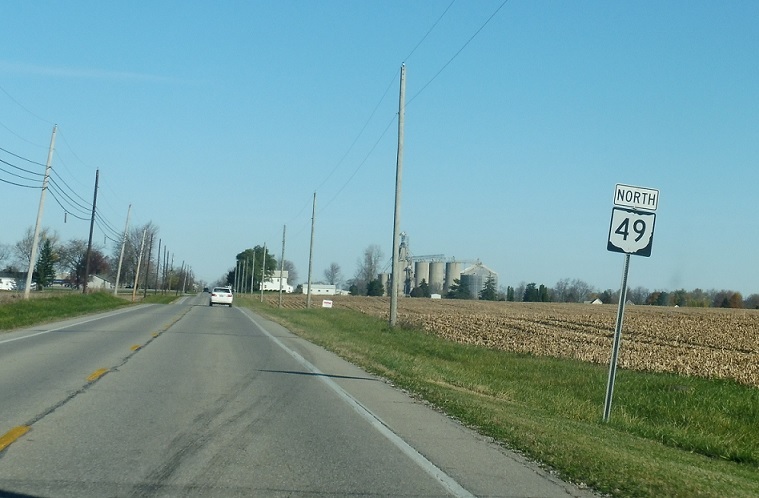 Reassurance shield after the curve. 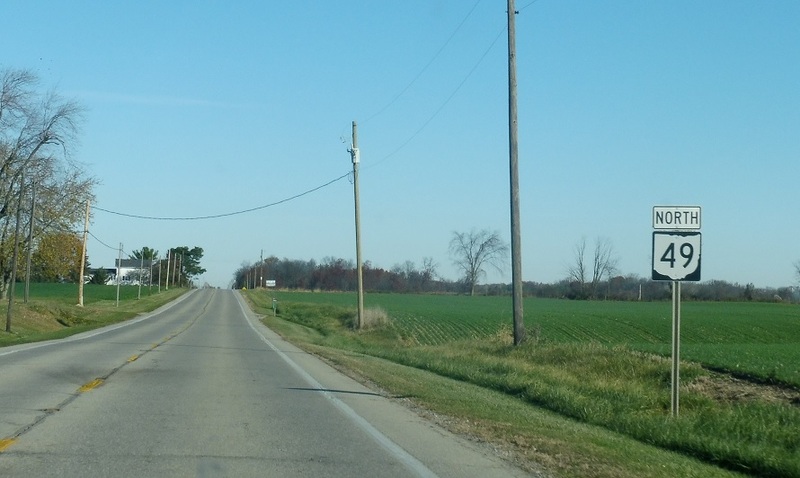 And then we’ll need to curve back to the right to continue north. 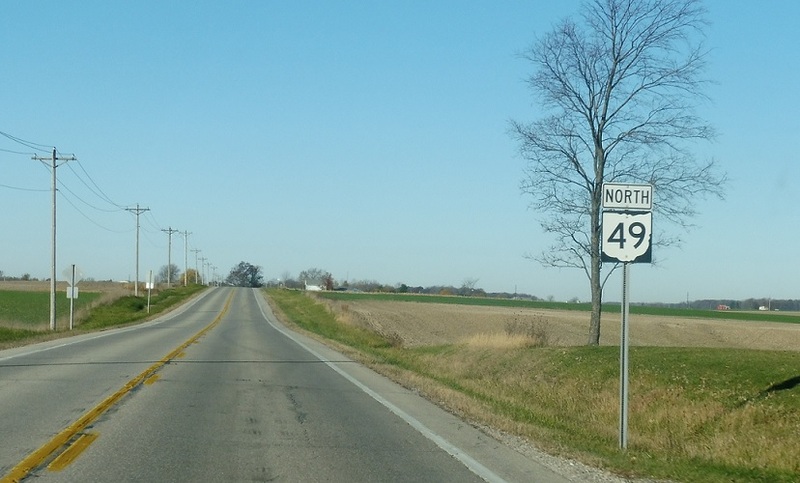 Keep right for 49 north. 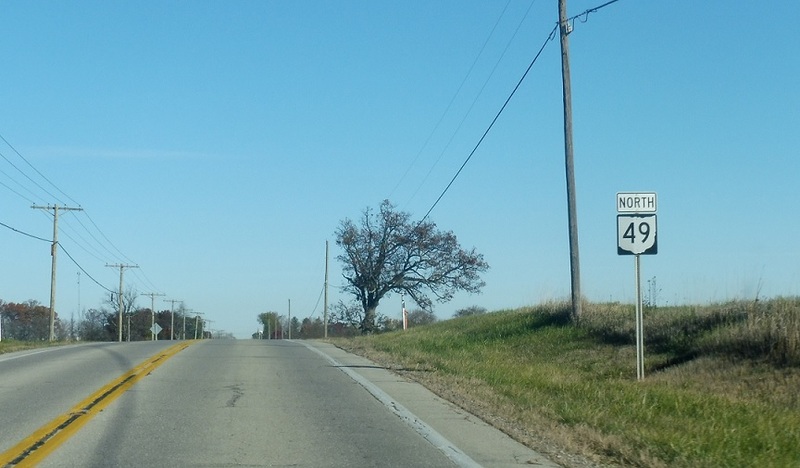 Reassurance shield after keeping right. 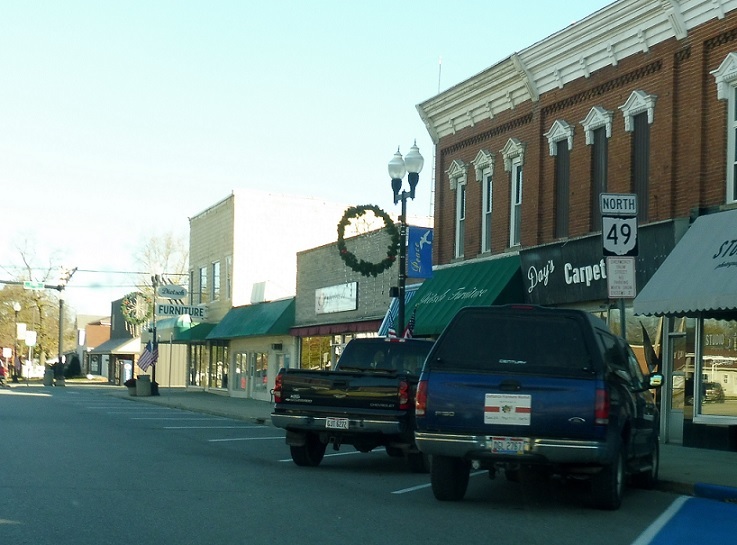 A couple miles later, we’ll enter Edon. 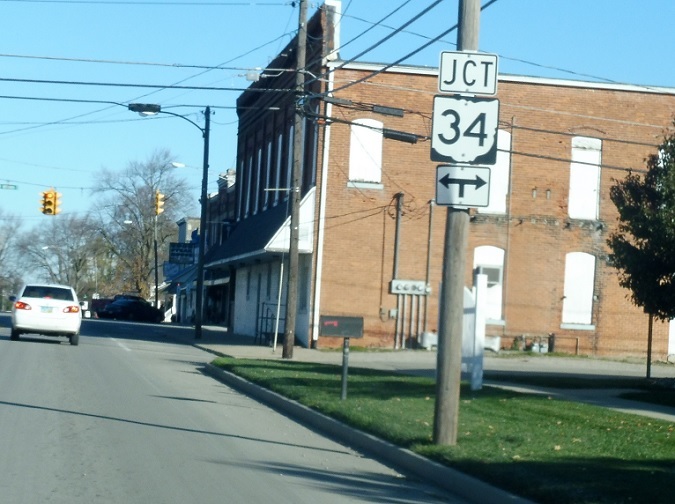 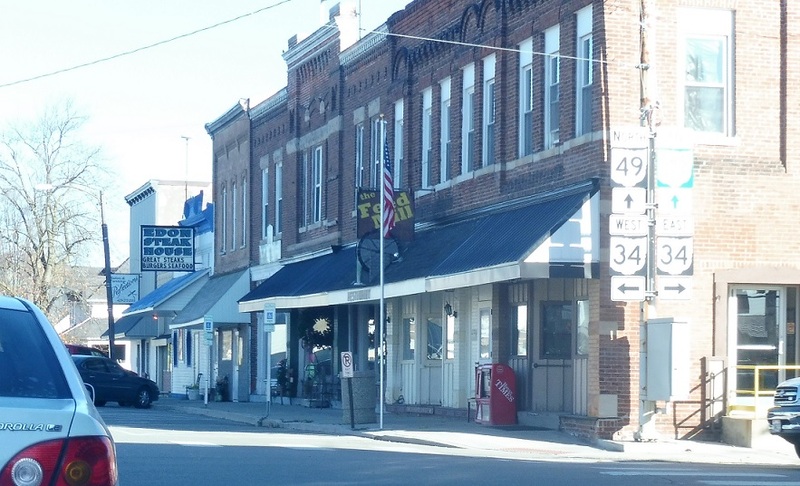 In downtown Edon, we’ll approach SR 34. 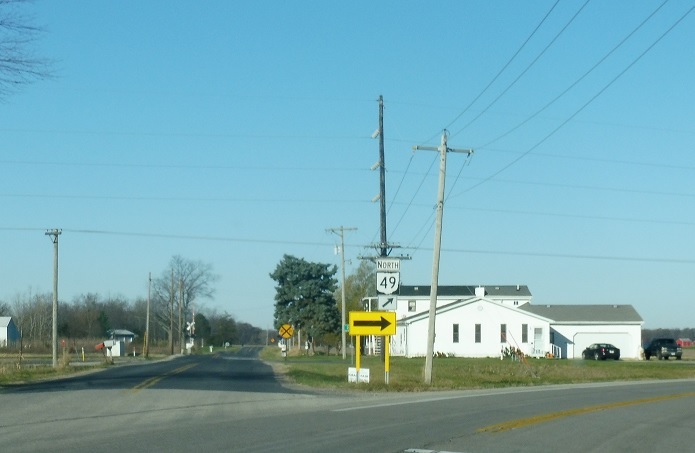 Turn right for 34 east and left for 34 west. 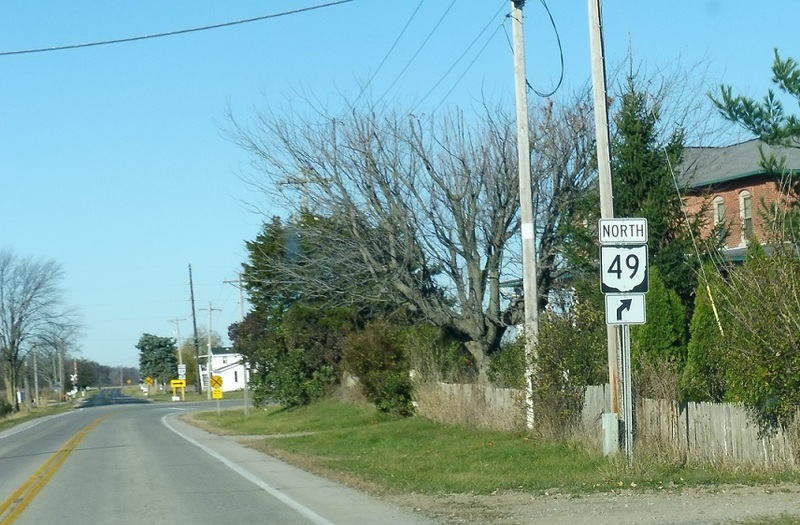 Stay straight for 49 north to the Ohio Turnpike.